With the exception of Lake Whitefish, all the fish I pursue through the ice are most successfully caught using bait. The bait varies widely, but the saying, “nothing beats the real thing,” applies. My fridge and freezer will demonstrate my belief in this theory. In my fridge right next to the jug of juice you can find dew worms, trout worms and maggots stockpiled for future trips. 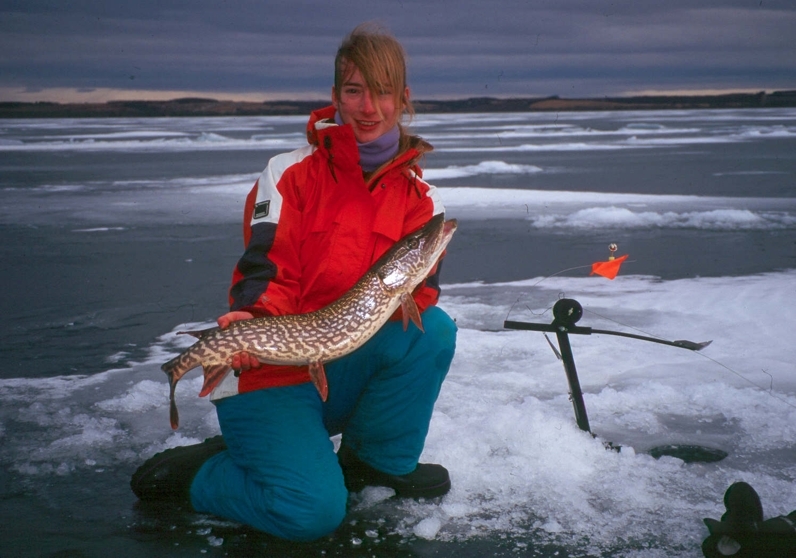 In the freezer there are at least three different sizes of minnows ranging from wee little ones for perch to full sized extra large herring for pike and lakers. Come the ice fishing season, the cold water affects a fish’s metabolism and they are not nearly as active. That means they will not be as inclined to chase active presentations and the best way to tempt a bite is using bait. What baits are best for what fish? 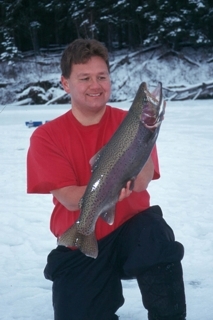 What is the best way to fish each bait? Here are my thoughts. When it comes to trout, nothing beats the power of worms and I find the wiggly little trout worm the best. I’ve had some luck using maggots, mealworms and eggs, but the trout worm is king. Lightly hook it on a small size 6 or 8 hook so it wiggles a lot and fish it a foot off bottom. For walleye, a jig tipped with a minnow is tops. Start with a quarter ounce jig and lightly jig it. If that’s not getting bites, move lighter, down to a one eighth ounce jig. The jig gets the minnow to the bottom; the minnow gets the walleye to bite. Use light line and do not use a steel leader as these fish are line shy. For pike you should use a steel leader. Use tip ups and fish the deep edges of weed lines with anchovies or herring. Start the bait size out at five inches and use bigger ones from there. To catch the biggest pike use the biggest baits off a quick strike rig, but for consistent catching, I’ve found nothing beats the alluring qualities of an oily five inch anchovy. For Lakers I’ve found that large anchovies and herring are best. Start with a bait about five inches and go as big as you can find. To catch the biggest Lakers using a one pound bait is not out of the question. Use a quick strike rig off a tip up and be prepared when a big one bites. I used the biggest herring I could get my hands on and on one fateful day I stuck a huge bite that turned into a 28 pound monster. 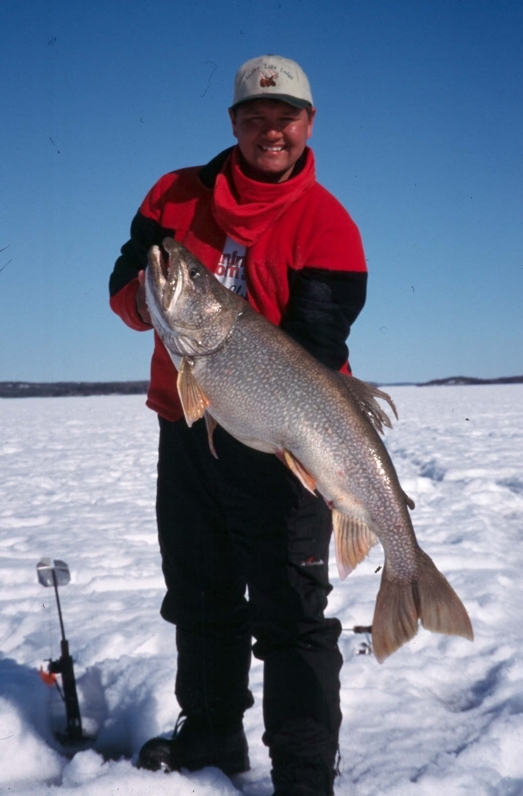 Look for Lakers in about 15 – 30 feet of water, even if its 100 feet deep as they like to chase schools of Lake Whitefish, which are normally suspended at this level. Last but not least, let’s look at perch. They are most easily caught using maggots, but to catch the big ones, use a small minnow or meal worm (or half a meal worm). The bait is bigger and this will mean fewer bites, but the ones that do bite will be bigger. So there’s a run down on baits used for our various fish species. 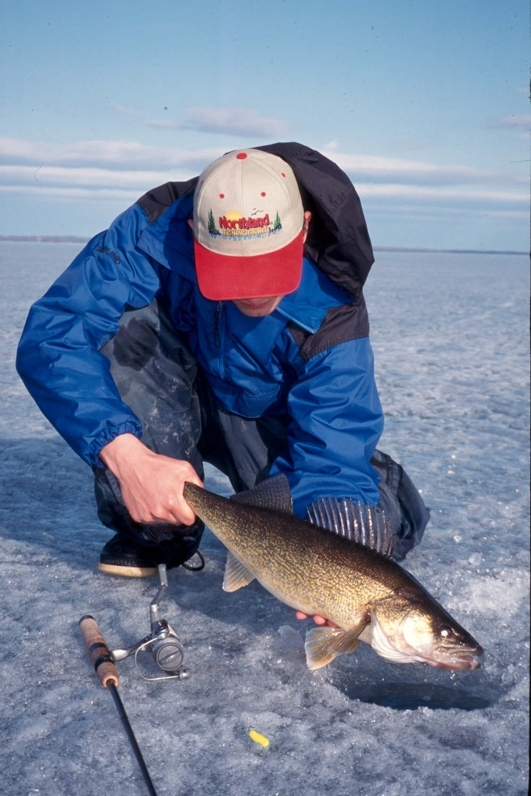 Maggots will catch pike, worms catch walleye, but those are oddball catches and not considered the norm. As for whitefish, I’ve had them sometimes take a maggot, but just as often I’ve had them hit wireworms or flies reeled very slowly to the surface with no bait at all. 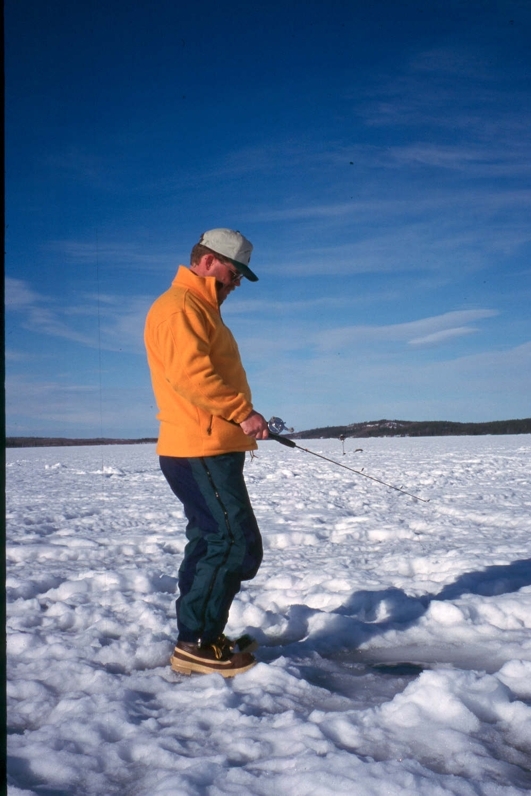 The undeniable truth is that bait is the ticket when ice fishing. Bring some along and catch fish.